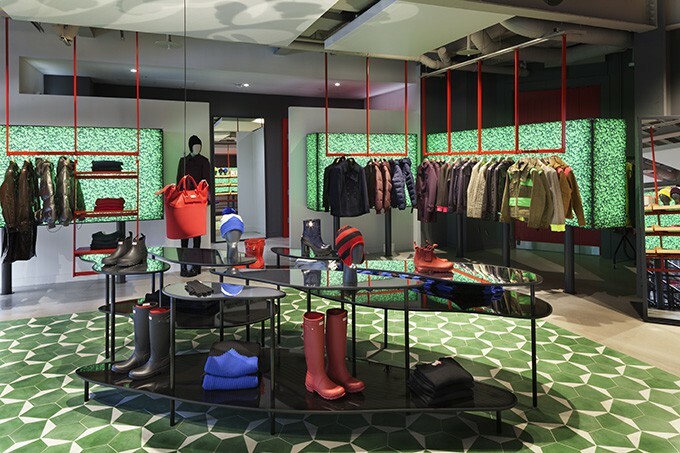 Hunter have unveiled their first global flagship store situated on Regent Street, London. 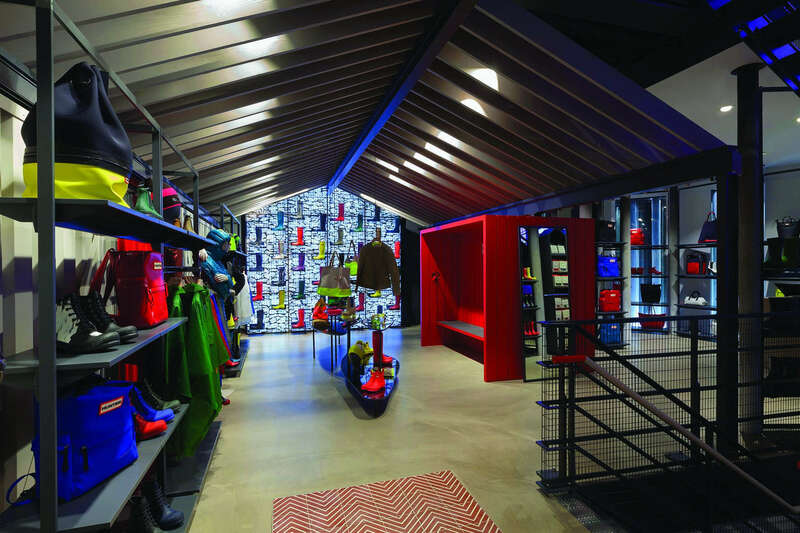 This retail design will pave the way for all future shop-in-shops and roll out stores. 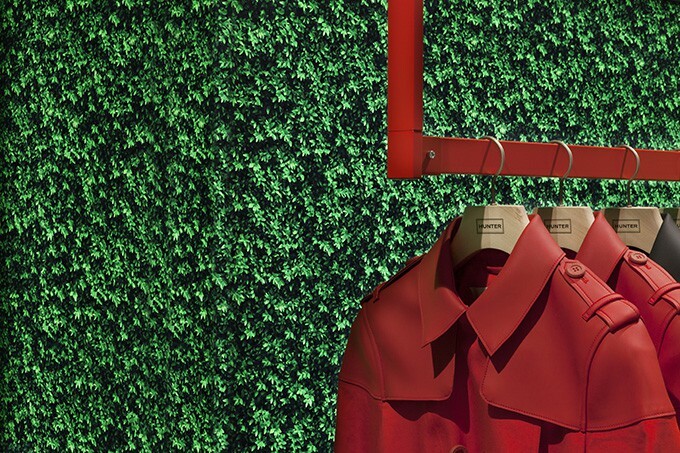 The new retail experience for Hunter encapsulates the spirit of the brand and provides a shopping adventure for the consumer. Digital graphics and large scale campaign imagery provide a modern and sophisticated brand showcase. The design is playful and exudes the outdoor charm of the brand. A contrast of industrial & tough finishes combined with soft playful touches represents the Hunter brand perfectly representing the Wellington boot in a 3D store design form!